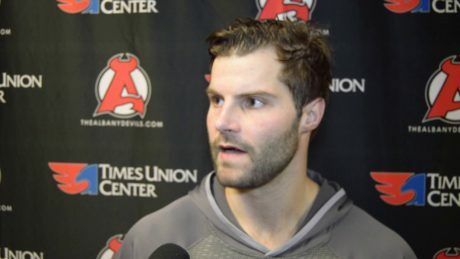 Rod Pelley has been named the team’s winner of the IOA/American Specialty AHL Man of the Year award for his contributions to the Albany community during the 2016-17 season. 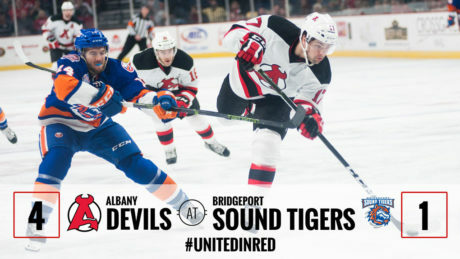 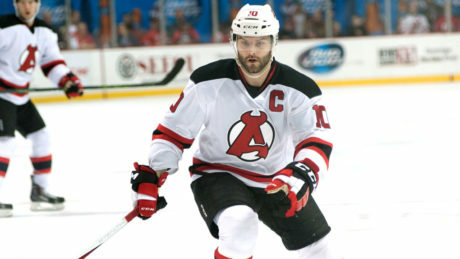 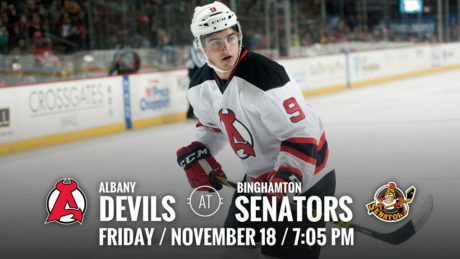 With a strong first period, the Devils were able to defeat the Sound Tigers, 4-1, Saturday. 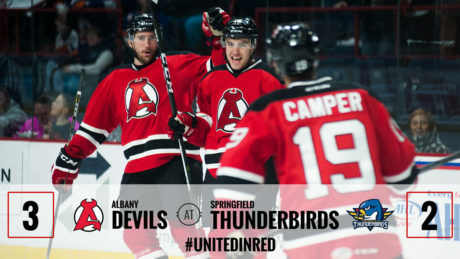 In their first ever meeting with the Thunderbirds, the Devils came out on top, 3-2, in overtime. 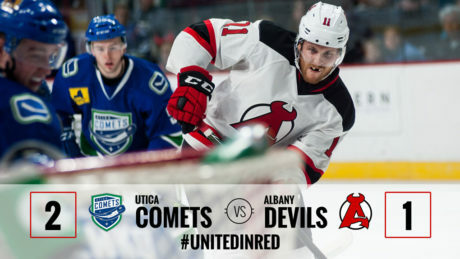 After 20 games, spanning four seasons, the Utica Comets have finally earned a regulation victory against the Albany Devils. 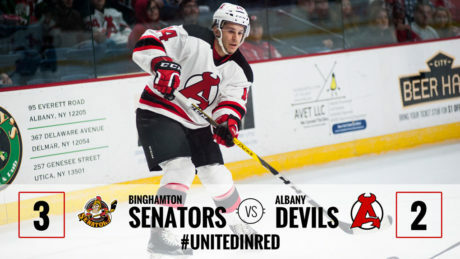 They did so in the form of a 2-1 decision Friday at Times Union Center. 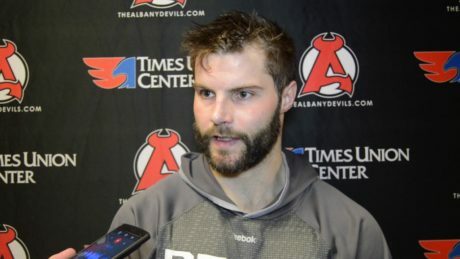 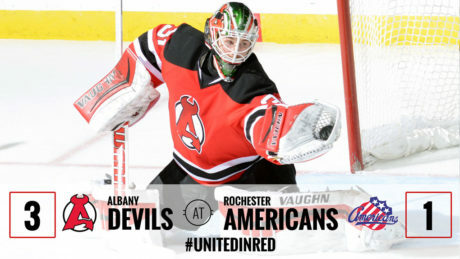 Scott Wedgewood earned his 50th career AHL win during the Devils 3-1 win at Rochester Wednesday. 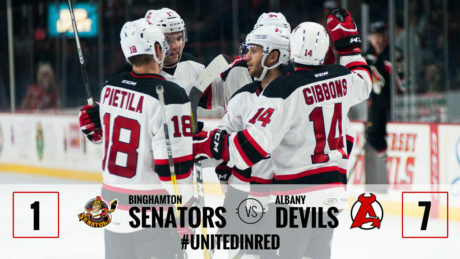 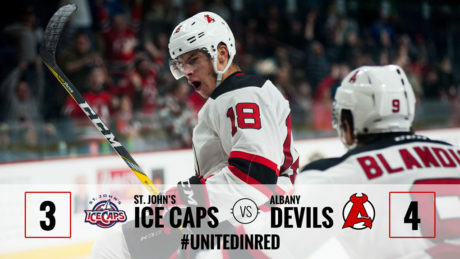 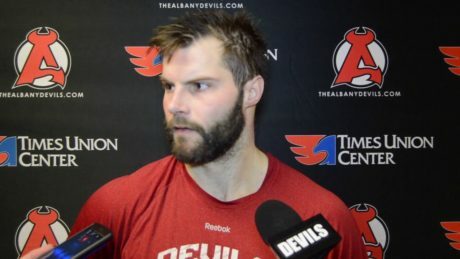 Blake Pietila completed the hat trick in the best way possible — scoring the game-winning goal in the closing minutes of the Devils, 4-3, victory against the IceCaps Saturday at Times Union Center.